Warskow will lead Concord’s Concentrated Focus on Compliance and its Related Issues. 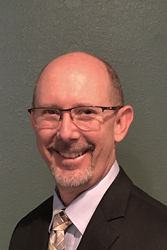 Concord Servicing Corporation has announced the appointment of Daniel Warskow to serve as the company’s Director of Corporate Compliance. In this newly created role, Warskow, the primary architect of Concord’s compliance management system, will oversee the company’s increasing focus on this critical area of regulatory oversight. His responsibilities include the ongoing development, integration and implementation of Concord’s industry-proven compliance system, as well as oversight for any aspect of the company’s business that touches upon corporate compliance and risk management in both the U.S. and Mexico. In this expanded role, Warskow is reporting to Concord’s Senior Vice President and General Counsel, Sonja Yurkiw, who also serves as Concord’s Chief Compliance Officer. Warskow has worked in the collections industry for the past nine years. Prior to joining Concord, he held leadership positions at the global transportation company BAX Global/Schenker. He also held positions of increasing responsibility at MCI WorldCom and Sears & Roebuck Company. Warskow is certified by the governing body ACA International as a Credit and Collections Compliance Officer. He is a graduate of Arizona State University in Tempe, Arizona, where he earned a Bachelor of Arts degree in English. For three decades, Concord has been a recognized leader in portfolio servicing and financial technology, delivering innovative, flexible and scalable solutions to meet the demands of loan originators and capital providers in multiple asset classes. Founded in 1988, Concord has since amassed two million consumer accounts totaling nearly $5 billion, and is now broadening its reach into dynamic new markets that have a direct and meaningful impact on improving the lives of consumers. For more information on Concord’s customized servicing solutions, visit concordservicing.com.